References expanded in V.V. Smyslov. Today at CFAA it's Video Friday. Since I'm working through Smyslov games, I thought it would be appropriate to have a Smyslov video. Unfortunately, YouTube turns up zilch. Of all the post-Alekhine World Champions, Smyslov is the only one who doesn't have a single video to his name. Even Petrosian has one, although it is only an 18 second clip showing someone playing the Black side of a Fried Liver Attack and getting mated after nine moves. Ugh! But wait! The name 'Smislov' is attached as a keyword to the 'Petrosian' clip, so there is a video after all. Double Ugh! Both players deserve better. Instead of Smyslov, I'll use a robot clip. It shows an industrial syle robot that would normally be used to assemble cars. Working around the clock it would replace three or four blue collar workers and wouldn't want to join a union. Instead it's playing a two-board simul with a person on one board and a replica of itself on another board. A pair of these things would be useful for playing bughouse when lacking three other people. What does the robot cost? Can I plug in any chess engine I want? ...displays the Table of Contents for many of the books it sells. After selecting the English page, 'Quick Search' for the book you are interested in. The books returned on the search have a 'More information' tab which usually leads to a Content button. Behind that button is the book's Table of Contents. The numbers on the left are the page numbers on which the chapters start. Using the chapter titles and the page numbers, you get a good idea what the book covers and how much space is given to a topic. This is especially useful for evaluating books on specific openings. Getting started on Smyslov's Sparklers,I know even less about Smyslov than about most other World Chess Champions (how is it possible?). Here's a short bibliography of references at hand, in chronological order.  Smyslov, V.V. (translated by P.H. Clarke), 'My Best Games of Chess 1935-57'; Routledge & Keagan Paul Ltd (1958), Dover (1972); Forward ('Vassily Vassilievitch Smyslov') by P.A. Romanovsky, Preface by Smyslov.  Winter, E.G. (editor); 'World Chess Champions'; Pergamon (1981); Ch.11 'Vasily Smyslov' by Ken Whyld (p.92-97).  Kasparov, Garry; 'My Great Predecessors, Part II'; Everyman (2003); Ch.3 'Vasily the Seventh' (p.263-381, incl. 33 pages on Geller's career). I also have a few books of the following type, but I can't find them just now.  Botvinnik, M.; 'World Championship: The Return Match Botvinnik vs. Smyslov'; Chess Digest (1973). I'll add any more that I happen to find.  Kotov and Yudovich; 'The Soviet School of Chess'; Dover (1961); Part 2 / Ch.1 'Grandmasters', Vasily Smyslov (p.139-155). Botvinnik and Smyslov get no. 1 & 2 billing, with almost the same number of pages; the other 17 GMs are listed alphabetically. If Web statistics are any guide, Vassily Vassilievitch Smyslov is one of the least appreciated of the World Chess Champions. Twice he emerged the winner of a Candidates Tournament to challenge Botvinnik for the title. On the first challenge Smyslov missed winning the title because of a drawn match (+7-7=10); on the second challenge he won (+6-3=13), only to lose the rematch (+7-5=11) a year later. More than 25 years later he reached the final of the Candidates Matches, where he lost to Kasparov, 42 years his junior. What were the keys to his great chess strength? Why is he held in relatively little esteem by today's chess public? To answer those questions, I identified games in both 'My Best Games of Chess 1935-57' by Smyslov (1958) and 'My Great Predecessors, Part II' by Garry Kasparov (2003), with the intention of studying them in some depth. These ten games will form the background theme for the next series on the games of the great masters. This is the last game in the series on Lasker's Moves that Matter, and follows the previous game by almost three weeks. One reason for the delay is that I had trouble understanding the popularity of the present game. In the diagrammed position, Euwe played 34.Qf1. This looks like a bad move, and it is, although it's not obvious why. As Soltis pointed out, Euwe could have drawn with 34.Qe3 Qxe3 35.Rexe3 Nc2 36.Rc3 Nd4 37.Rfe3. The move played merits the '?' that Soltis ('SOL') gave it. The position after 34.Qf1 is where Kasparov ('KAS') started annotating. The threat is 35.Ne4, which Lasker ignored with 34...Nc2 (KAS: ! ; SOL: !!). The very pretty point is that after 35.Ne4, Black plays 35...Qxe5 36.Nf6+ Qxf6 37.Rxf6 Nxf6. Since Black gets Rook, Knight, and Pawn for the Queen, it doesn't really count as a Queen sacrifice. On top of that, the position of Black's pieces is more dynamic than White's. Euwe survived until move 50. Euwe blundered and Lasker took advantage of it. I turned to Hannak for background. When Lasker accepted the invitation to play in the great tournament arranged at Zurich in the summer 1934 to celebrate the anniversary of the local club, there wasn't a chess player anywhere in the world who wasn't surprised and thrilled; but even the old man's most sanguine well-wishers hardly expected him to show much of his erstwhile prowess. After all, it was nine years since Lasker had played any serious chess, and apart from being nine years older he was unlikely to have recovered from the recent shock of being deprived of his home, his property, his country. His opponents would be World Champion Alekhine, challengers Euwe and Flohr, plus strong players like Bernstein, Bogoljubov, and Nimzovich. In the first round, Lasker had the Black pieces against Euwe, the Dutchman, who, a year later, was to wrest the title from Alekhine; a man who at that time was not merely the most erudite theoretician but one of the strongest players in the world. He was at his very prime, 33 years old, almost exactly half his opponent's age. Small wonder that, 'on book form', the young contender for the world championship was hot favorite against the old ex-champion. But the unexpected happened, for the old man played one of the finest games of his life. Today is Sunday. Even though it's 15 April, I know it's not tax day, but when are U.S. tax returns due? I have a copy of 'Forms and Instructions for Overseas Filers', which must have at least 200 pages and no Table of Contents. F&IOF starts, 'Dear Taxpayer, Paying taxes is a unifying experience fundamental to democracy and the rule of law'. Yeah, right. It's a 'unifying experience' because misery loves company. Fundamental to democracy? Taxes were invented long before democracy and are present in the worst totalitarian states. Fundamental to the rule of law? Only because the lawmakers demand payment for creating new taxes. Enough grousing. I see on page 12 of the big 81-page document -- it has no name, just page numbers -- in the middle of F&IOF that form 1040 must be filed by 16 April, unless I live in Maine, Maryland, etc. etc. The whole tax code is riddled with exceptions; even the filing date has exceptions. I've filed tax returns in Denmark, Germany, Belgium, France, and the USA, where 'God shed His grace on thee'. God's grace starts with the most complicated tax system in the world. I wouldn't be surprised if it's more complicated than all of the other tax systems in the world put together. Moreover, it's one of the few tax systems that hounds its citizens wherever they happen to live in the world. There is no escape. Americans, heed my words: when your politicians start talking about 'simplifying the tax code', vote them out of office. It is a code phrase that means they want to create more exceptions. If my page is no.1 on such an important Google search, maybe taxes aren't so bad after all. The second entry in the Google search is from the Boylston Chess Club Weblog: May 2006 and goes 'Singing star accused of evading Chess taxes'. What's that all about? Why is a singer paying chess taxes? It turns out that ABBA singer Bjorn Ulvaeus was 'accused of a scheme to avoid paying taxes' from revenue he earned on the musical Chess. Taxes on chess, they're here. People go to jail for not paying them. Today is Video Friday on CFAA, Friday the 13th, April 13, and Kasparov's birthday. All of that together says, 'Let's have a Kasparov video!' The event in the clip appears to be a book signing for Predecessors IV (Fischer plus other 'Stars of the West'), where the 13th World Champion discusses game 56 from his book. Garry Kasparov (7:56) • Lecture on a Fischer Game. I was being kind. As much as I like him for his easy-to-understand annotations, he's one of the worst examples of that particular weakness. I first noticed this some years ago in his book 'Capablanca's Best Chess Endings', where he comes off as a complete sycophant. In the Petrosian - Pachman game, he declared after seven moves that Black has made the 'decisive mistake' (7...O-O), this in a position that other good players later won or drew against equally good players. Later on (17...Kg7) he failed to mention that Petrosian bungled his combination -- an excellent combination nevertheless -- by not noticing it the first time it was possible. Did he not see it or was he protecting Petrosian's reputation? I've included several of Chernev's books on recommended lists, but it's hard to justify an author who lacks objectivity. Is there another chess writer who is as bad as Chernev at pointing out the mistakes of his favorite players? I added examples of Blogger.com's latest widgets to the sidebar: Chess Videos and Chess News. Both are based on Google services -- YouTube and Google News, respecutively -- as are Blogger / Blogspot.com. I find it ironic that the European Union has been persecuting Microsoft for years and just recently opened an investigation into Apple's iTunes, while the Google juggernaut marches on unimpeded by Eurocrats. I've often noticed that, with only a few notable exceptions, technological trends in the U.S.A. take about two years to reach Europe, by which time it's too late to compete with them. I'll leave the new widgets at the top of the sidebar for the next few days until the novelty wears off. Clicking on a video opens a viewer in the area normally used for blog posts. I'm interested to see how often the video choices will change. For the last month and a half I've been running an occasional YouTube search on 'chess'. It always presents the same choices at the top of the list, just as a web search would do. The news search, based on recent news items, is naturally more dynamic. 12 April: Neither widget is particularly interesting. I removed the video widget and moved the news widget to the bottom of the column. When I was a boy I was a member of the Boy Scouts. Every year, in the Spring I think, our scout troop would go to a camporee to set up an overnight camp, to meet troops from nearby towns, and to compete in the things that scouts do, like making a fire or pitching a tent. The only camporee that I can remember in any detail took place on the Indian reservation in the same town where I went to school. The Indians were long gone and the reservation then served as some kind of a park. It wasn't a place that you would find unless you knew where to look and I imagine it didn't have many regular visitors. The weekend of the camporee we hiked from the local high school, where I was in seventh grade, along typical New England country roads, wide enough for two cars to pass each other, but without a white line down the middle to separate the two lanes. It was a beautiful day and we all sang hiking tunes punctuated by the scoutmaster's rhythmic chant of 'hup-two-three-four' repeated over and over. A few miles from the high school, the reservation was off the main road, down a dirt path just big enough for a car to pass. The campground itself was in a typical Connecticut woodland setting -- leafy trees, boulders, dry leaves and twigs everywhere -- on flat ground surrounded by rising slopes on all sides. I remember thinking it was a magical place, as did my two closest friends, Hank and Frank. Lying in our sleeping bags after taps had sounded, we talked about school, other friends, families, girls, and wondered about the Pequot Indians who had long before lived where our tent was pitched. The next day we didn't do particularly well at the scout competitions, although we won the pancake flipping contest. We had to build a fire, make a pancake, cook it in a griddle, run to a string stretched about six feet high between two poles, flip the pancake over the string, run back to the fire, and eat the pancake. When we signalled to the referee that we were finished we were almost disqualified because the remains of our pancake looked like soup. After all of us explained simultaneously and excitedly that the pancake was so hot that we had to drown it in water to eat it, the ref accepted our explanation and declared us the winners. Every Easter for the last few years I've thought about that scout camp. Easter weekend is when the annual Foxwoods Open takes place. The tournament name is taken from the Foxwoods casino where the chess event has been held since its inception, the casino was built by the Indians who had returned to the land given to them for their reservation, and that land is the same place where the scout camporee was held so long ago. A few years ago I wrote an article on the Foxwoods Open for About Chess. Although it had little to do with the tournament itself, I researched the story of those Indians on whose magical ground three 12- and 13-year olds discussed long ago the deep issues of their young lives. In Collecting on a bet, DG of the Boylston Chess Club Weblog picked up a challenge to find five new blogs in less than two hours. He discovered 26 blogs in a little less than an hour. Checking these against my own list, I found 23 new names. How could I have overlooked so many? Looking at the date of the first post on those blogs, all but 10 were created since the beginning of March; and all but two were from 2007. The oldest started in March 2006, featured a few posts every month until June, then went to sleep until last month, when it was restarted. Getting back to the original premise, what this little bet has shown is not that there is a large number of blogs missing from everyone's blogroll, but that the chess blogosphere is healthy and growing by the day. As they say over on eBay, the actual item looks better than the scan. I have dozens of the things stacked in a corner of my sock drawer and if I can't get rid of one on a lost bet, then they'll sit there forever. I'll leave it to DG to collect by forwarding a postal address (to chess.guide@about.com) to let me know where I can send his new treasure. Oh, and in case DG is wondering, the drawer is for clean socks. Mostly. ...Are these books all original or is there substantial reuse of material? 2007-04-23: The 'Book Review' feature at Chesscafe.com, dated 18 April, was a piece called 'The Instructor's Secrets' by Akram Shahata, who reviewed 'Secrets of Chess Training, School of Future Champions 1', Mark Dvoretsky & Artur Yusupov, 2006 Edition Olms. In the late ‘80s and early ‘90s, Mark Dvorestsky, together with Artur Yusupov, published a series of chess books on various aspects of his training techniques. His first book, 'Secrets of Chess Training', discussed the methods of analyzing endgame positions and adjourned games. This book was reprinted by Edition Olms under the more appropriate title 'School of Chess Excellence I: Endgame Analysis', a review of which can be found in the ChessCafe.com Archives. The book we have before us is an updated edition of 'Training for the Tournament Player'. It features two new articles and many additional exercises. If I understand this correctly, 'Secrets of Chess Training' (Batsford 1991) was reissued as 'Endgame Analysis' (Olms 2002). 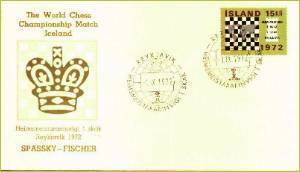 'Training for the Tournament Player' (Batsford 1993) was reissued as 'Secrets of Chess Training' (Olms 2006). Clear? The review continued with this bit of pedantry: 'Of course, the authors need no introduction...'. Of course, this assumes that the reader is among the 1% (or 5% or 10%, pick a number) of chess players who know something about Dvoretsky and Yusupov. For the rest of the world, chess players included, their names are as familiar as that of Akram Shahata. "Who Else Wants To Learn How To Dramatically Improve Their Chess Skills...In As Little As 7 Days?" Discover How You Can Dramatically Improve Your Chess Skills In The Next 30 Minutes Or Less...Guaranteed! The only reason I clicked on the links was because they were on the Blogspot.com domain. I always look at chess blogs, but neither of them looks anything like a blog. They both look like typical fly-by-night marketing pages of the 'Improve Your XYZ While You Sleep' genre. 'How does that work? ', I asked myself. Where is this trick documented? Can it be misused for something more harmful than selling Get Rich Quick books?